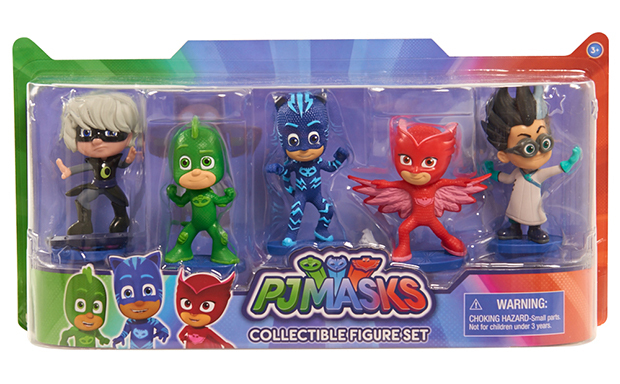 Entertainment One’s superhero series PJ Masks has just launched a new range of toys at Toys“R”Us. Do you have a PJ Masks fan in the house? If you’re not up to speed on PJ Masks, it’s a CGI animated series which follows the adventures of Connor, Amaya and Greg as they transform into their superhero alter egos, Catboy, Owlette and Gekko! The TV series has been on Disney Junior since April 2016, and has become a leading favourite for Aussie preschoolers. 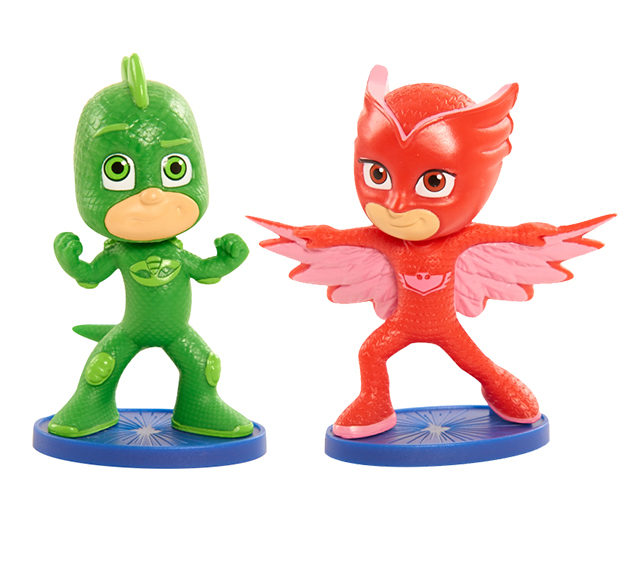 With a phenomenal launch already under its belt in the U.S and U.K., the PJ Masks toy line, from global toy partner Just Play, has now landed in Australia and is available at Toys“R”Us stores and online at Toysrus.com.au. The new PJ Masks collection allows young fans to “transform” into the show’s central characters with authentic dress-up, including masks and suits, as well as play out exciting series-inspired adventures with colourful and highly-detailed figures, vehicles and plush toys. 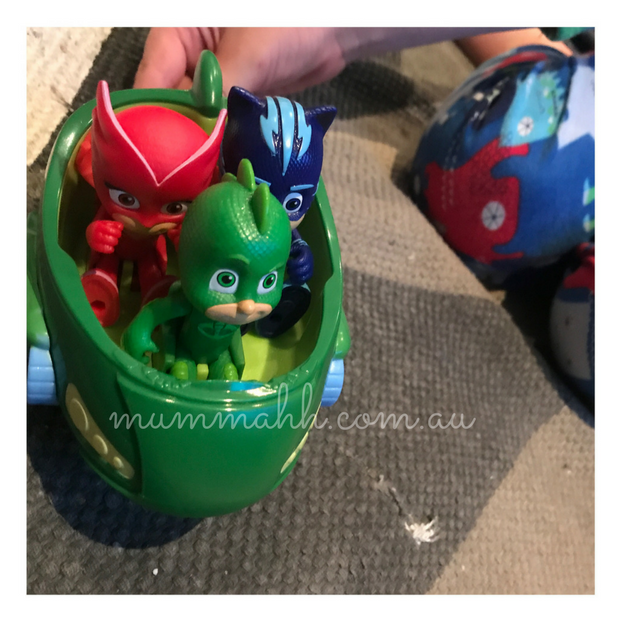 We got to road test some of the awesome PJ Masks toy range! Little L loves the Gekko Mobile and it’s great that all three characters fit inside. Miss J loves the cuddly Romeo soft toy. There’s Catboy and his Cat-Car, Gekko and his Gekko-Mobile, and Owlette and her Owl Glider. 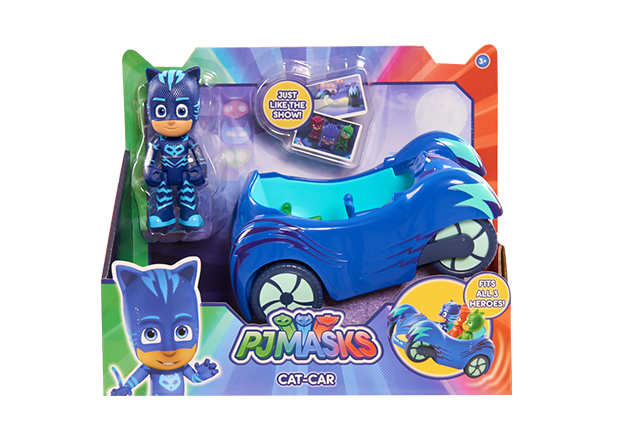 Each signature vehicle includes a figure and can fit all three PJ Masks figures inside. 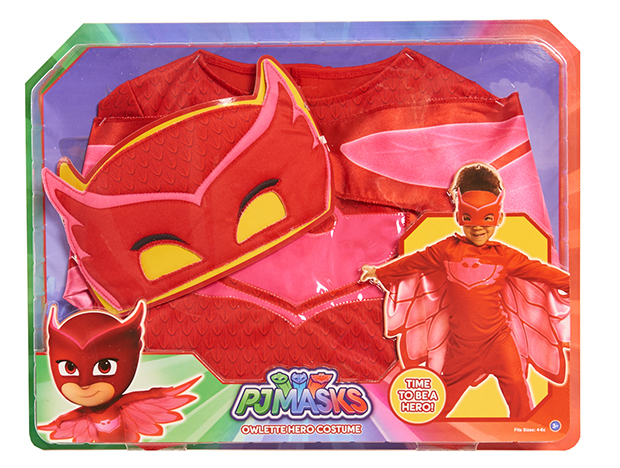 Transform into your favourite night time heroes, Owlette, Gecko and Catboy, with the ultimate PJ Masks dress up sets! These sets come with a highly detailed full-body outfit, made with quality fabrics in the heroes’ signature colours of green, blue and red. Also included is a fabric mask allowing young fans to enjoy hours of fun as they play out their own PJ Masks adventures. 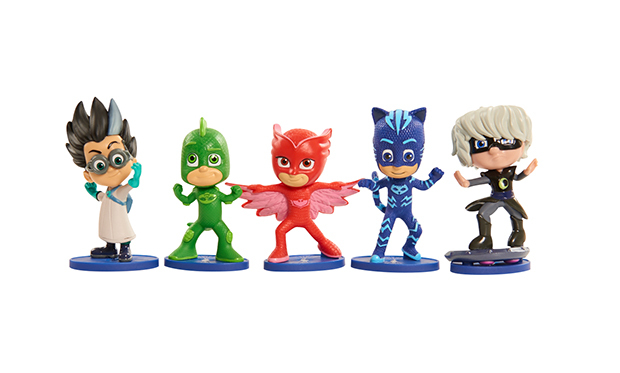 Transform into your favourite PJ Masks hero with the PJ Masks Catboy, Owlette or Gecko Masks! 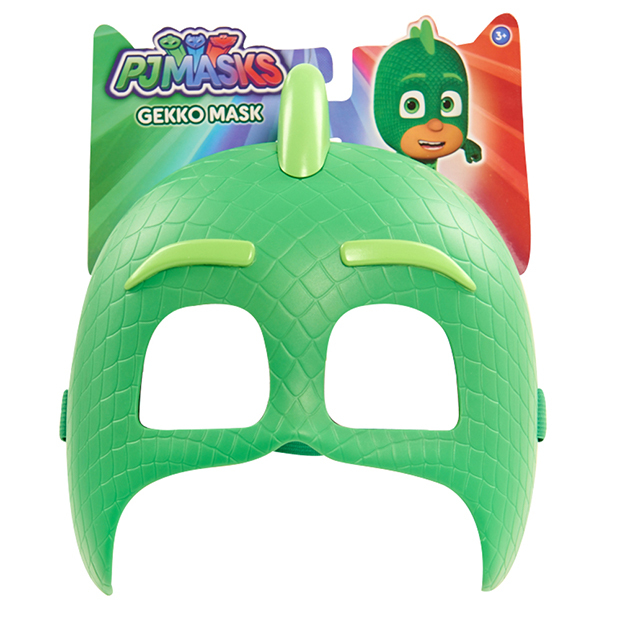 These high-quality masks are made of durable plastic in the heroes’ signature colours and can be paired with the PJ Masks Role Play Set for the ultimate nighttime hero costume! Each mask has a soft insert and an adjustable strap for the perfect fit. PJ Masks are on their way – into the night to save the day! These super soft cuddly versions of everyone’s favourite heroes, Owlette, Gecko and Catboy come in the perfect size to take with you on all of your heroic night time adventures. 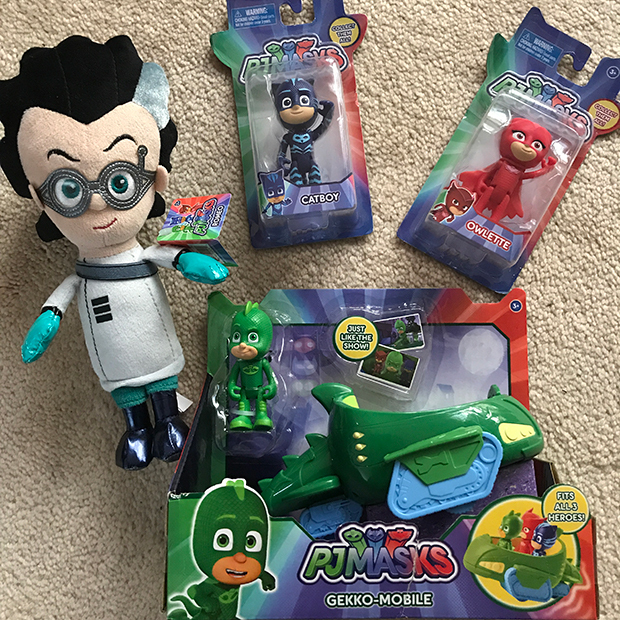 Win a PJ Masks Prize Pack! This is the ultimate PJ Masks prize pack full of a selection of the new toy range so you can create hours of your own PJ Masks adventures. 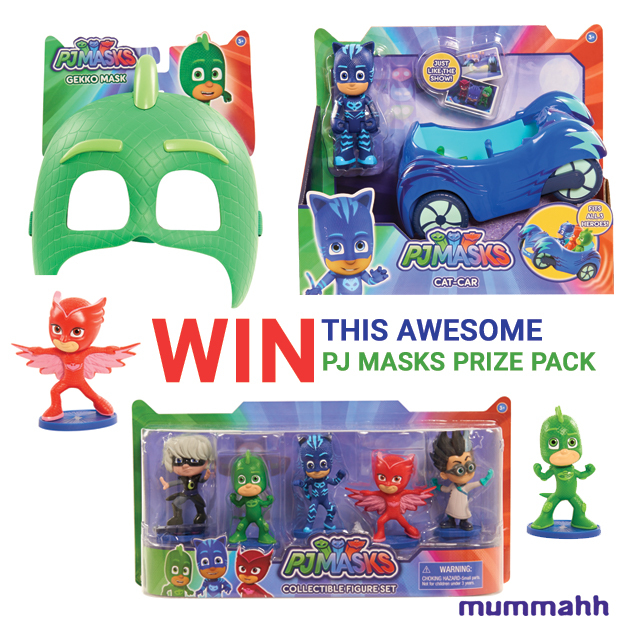 To enter: Tell me below in 25 words or less who your favourite PJ Masks character is and why? Competition ends 5 June 2017 and full T & C’s can be found here. Incredibly fast, amazingly agile, he can hear the quietest sounds across unbelievable distances. The shooting of moth balls is AWESOME! Our Master 5 loves Luna Girl because she tries so hard! PJ Masks Catboy- is the best! “Cat Boy, or that is what the youngster in the house says. My daughters favourite is owlet because she’s the best at flying and she tells me that Owlet is the smartest too because owls are very smart . Gorgeous GECKO the Great!…could join the friendly little geckos that inhabit our house keeping nasty insects at bay. Catboy’s smart, fast, loved in our home. Daughter says he’s awesome, blue, favourite, fun. owlette is our favourite! She is cute and she can fly! What else does a girl need? Catboy is the firm favourite in our house ! I guess he has to be when your Mum is a cat crazy lady! those who can not see are clearly blind. My girls love Owlette because she can fly! It’s the ultimate special power! My 4 year old son loves Catboy who would love to own this. My granddaughters live in FNQ and the real life Geckos are so entertaining to watch…so we have a connection to Gekko! Gekko as we have a lot of Gekkos around our house and my boys all love dressing up, playing outside and being imaginative! Quote from my daughter: Owlet she is a girl and she can fly, she has owl eyes and see for ever. CATBOY – amazing leaps and acrobatic moves, stealth like prowls and lightning speed. Enhanced hearing and very agile, he has everything he needs. Luna Girl. She’s just that little bit naughty and never boring. Luna Girl is our family favourite as us girls have to stick together and be a little bit evil at times. Little Miss 5 loves the villain Luna Girl because her costume and mask look really cool! My son is a fan of cat boy, as a cat loving little man it suits him down to the ground! Owlette because she’s got “Super Owl Wings”, she’s an amazing girl and my daughters favourite colour is red. Leo 6 says Gekko because he’s green and a superfast climber, Shasha 7 says Owelet because she’s a girl and a clever role model for girls and boys. they say he’s cooler than all the rest! Gekko! He gets about just how my little one crawls: Superfast! 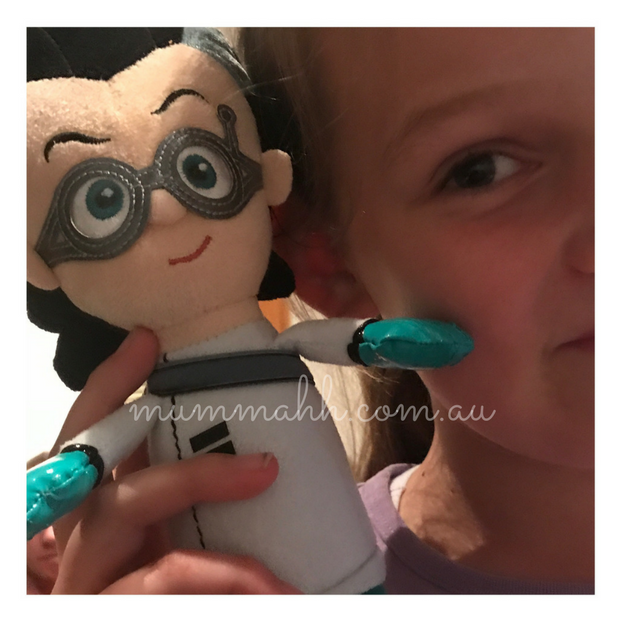 Miss 4: Gekko! He can climb really high!! Cat boy because I love the colour purple, and he looks adorable. Gecko as his array of super abilities make him one slick lizard and with his readiness to always take action, someone he admires. my son loves gecko he likes to put on my green nightgown for his camouflage cape, he says super gecko awayyyyy! My grandson loves this show and I think its a nice show for him to watch, has lots of good storylines, He likes Gecko, he loves his muscles and also that he is green and that is his favourite colour. Gecko; that’s all I hear from my son…Gecko this and green that. This would keep him quite temporarily! Night Ninja, this little legends the best of the best (well at least to me, the kids, not so much lol). Catboy, he’s this feline loving families mascot so to speak. Owlette as she reminds me of my daughter who has a sharp mind and super planning skills. Gekko as he’s like my boy who is also strong and a sticky master of camouflage! Catboy as he is incredibly fast and amazingly agile just like my little boy. Gekko son was frightened of real geckos, we made a big deal of PJ Masks Gekko character, son is now over his fear. Owlette – Love her wings! No more traffic jams, we’d never be late again! If only this mummy had wings!